Enjoy guaranteed results when you have an experienced Ladera Ranch plumber working on your plumbing needs. It’s best to hire a qualified local plumber if any of your pipes is acting up. Because plumbing issues can happen, whether you like it or not, the challenge is how you will deal with them at the least possible cost to you. Our skilled plumbers at OC Plumbing Pros will not disappoint you. We can also check the integrity of your whole plumbing system outside of the leaky portion to determine if they are still okay. When you call us while the problem is still small, we can cut the costs to the minimum. Call us 24/7 at (949) 371-8413. Professional Water Heater Installation and Repairs: We understand how you will feel when your water heater fails at some point. If it is fairly new, perhaps, it needs just a little tweak here and there to get it up and running again. Having us over also allows us to check if you are using your heater to its full capacity, or beyond its capacity. Your water heater malfunctioning does not necessarily mean your unit has reached the end of its life. While there, we can also see if you are not overloading or overusing your heater at all. Efficient Drain Cleaning Services Keep The Water Flowing: While the drains are considered important components of plumbing systems, they sometimes end up the least prioritized when it comes to maintenance, and are given attention only when there is already water accumulating in the sink, accompanied by a foul odor. But then again, that’s nothing new as homeowners are typically not proactive when it comes to any part of their HVAC and plumbing system. But take comfort in knowing that we have the latest equipment, including a state-of-the-art camera that captures the image through the drain, enabling us to effectively and safely remove the clog, whatever and wherever it is. And what does that imply? We Know A Leak Even If You Don’t See It, and We Repair It, Too! Not all leaks, slab leaks, especially, are easy to find in your Ladera Ranch home, but our experts know a leak when they see them, even if you do not, and we repair it too. Be mindful to check your water bills and see if there is a significant increase in the amount due because that can mean there is water leaking around. This is why it is important to detect leaks right away, and fix them too. When you experience a sudden increase in your water bills, and as far as you know your water consumption is the roughly the same as last month, chances are, there is a leak somewhere. Our aim always is to keep the costs for our customers to the minimum. Emergency Plumber Ladera Ranch – Call Us Now! We Provide Re-piping, Garbage Disposal Repair and Installation Services: Building code requirements in Ladera Ranch mandate that you hire licensed professional plumbers to lay down the pipes in your house or office. Call on us, too, if you want our skilled plumber to take care of your dysfunctional garbage disposal system, or put in place the unit you have just purchased. We also have applied for permits and licenses to operate, with the tacit arrangement to be subjected to regulations and oversight from the government. Therefore, give us a call and we will see if your unit can still work just fine after repairing it. Installing or Repair of Toilet: A dysfunctional toilet can spell bad news for your health, too, especially if there is water leaking out of it in your home. It can put you in total discomfort when you just have to “go” and you realize that the toilet is “out of order”. Have peace of mind that our team will address your situation right away. Call us today at (949) 371-8413! 24/7 Emergency Services Available At OC Plumbing Pros: We realize that plumbing emergencies can catch you off-guard, thus we make sure to be around 24/7 to render the necessary assistance. We recommend that you call us the moment you sense that there is something wrong with the way your plumbing system works, so we can take immediate action before the problem blows out of proportion. Nobody can predict the future, and so you can’t really determine when your plumbing system or toilet breaks down. 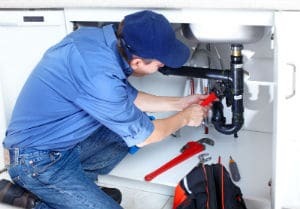 Connect With Our Ladera Ranch Plumbers Today! All our technicians are trained on customer service so they can explain to you in layman’s terms the options available for you. We always strive to make the whole process as painless as possible for our customers. Give our plumbing contractors a call and let us talk more about plumbing repair and installation services at OC Plumbing Pros.